…catalyze and assist the transformation of the Anacostia River Corridor in the District of Columbia. The principle objective is to help create a great socially and economically beneficial civic space, on a clean river, adjacent to healthy, green, diverse, and exemplary communities. We want our organizations and the people we serve to be part of that transformation which will mostly take many years to achieve. APACC and Clean Water are dedicated to working with community members, particularly those who have lived in Wards 7 and 8 the longest, to inform and actively participate in the work of the collaborative. Through this process we will foster the growth of a thriving, diverse, and sustainable community that actively accepts and takes ownership of the challenges and opportunities along this cherished water source to improve the lives and livelihoods of both current and future residents. As such we prioritize the perspectives and needs of residents and other local stakeholders in planning activities and considering the impacts of our actions. 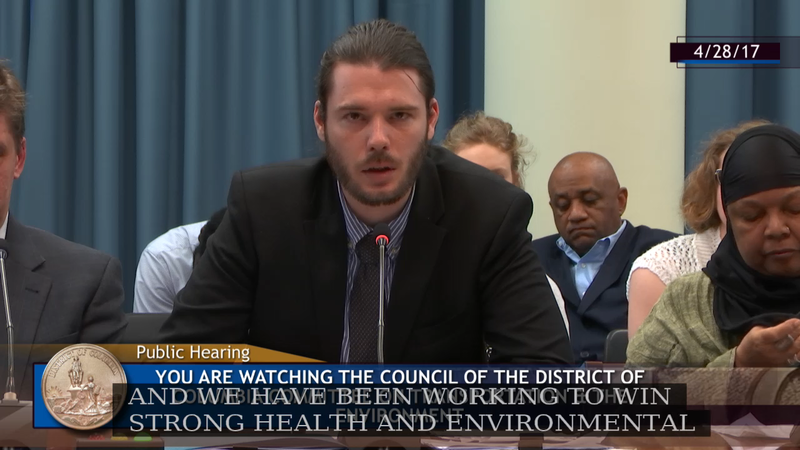 Recently, we worked to bring community voices to speak at last Friday’s Department of Energy and Environment (DOEE) budget hearing to advocate for improvements along the river corridor to benefit the health and environment of residents. DC law requires the Mayor to create a plan by June 30, 2018 to clean up the Anacostia River toxic sediments. Creating this “Record of Decision” (ROD) requires resources for studying the problem and proposing solutions, but the mayor’s FY 2018 budget zeros out those funds. DOEE has been working on remediation of Anacostia toxics for several years, but lack of funding in FY 2018 could put years of steady progress toward RODs for river sediments, plus shore side sites like Kenilworth North and Poplar Point, in jeopardy. Working with APACC partners, we organized community residents to submit public comments and provide testimony at the DOEE budget hearing in support of restoring funding for soil remediation and cleanup of toxic sites along the Anacostia. Community residents did a completely outstanding job testifying to the DC Council’s Committee on Transportation and Environment on the Mayor’s failure to propose FY 2018 funds for toxic remediation, and together we submitted over 100 community letters, testimonies, and statements of support urging council members to commit $10 million for FY 2018 – Fy 2019 on all Anacostia remediation projects. Officials notice when communities make their voices heard. We have made great strides to restore years of damage to the Anacostia River. Let’s not reverse that momentum. Take action for clean water and a healthy Anacostia River corridor!